Since the rise of Apple as a major smartphone manufacturer, people worldwide have been suffering from a great plague. iPhone envy. They have spent nights praying for an iPhone, or for it to be available at cheap prices in their respective countries. India, not being as developed in the telecom sector, not yet into the world of contracts, has suffered a lot. The iPhone 3g was the first one to be released officially in India and was priced at a hefty $800. That was a lot in 2008. This capitalism continued till the Google Android OS came. It was a revolutionary Smartphone OS, based on a simple Linux framework, using a little bit of simple C and C++ code, here and there. The Android platform expanded exponentially, since the introduction of the first ever Android phone, the HTC Dream, to Dual-Core Phones and tablets, releasing earlier this year. The best part of Android is that it is much simpler to develop for, and it was open source to begin with, hence, it was easier to develop for Android, rather than iOS which was closed source to begin with. Also, the major restrictions on the iPhones were solved to begin with. Like, the bluetooth could not work cross-platform in iPhones, but that was never a problem in Android to begin with. The Adobe Flash compatibility was also not a problem. All-in-all, Android started a revolution, of affordable high power Smartphones. Then comes the biggest advantage – Android phones were actually affordable. Both Blackberrys and iPhones cost a fortune and providing you with the same features, were Android phones. Manufacturers like Samsung, Sony Ericcson, and HTC quickly turned their heads towards the Android platform and the world got hundreds of Smartphones. As of November 2011, you can buy an Android phone, with the latest Android version, at just $139, while iPhones are available at 649$, with almost the same app base. Apart from affordability, it was the developer-friendly framework, that inspired the developers to turn on to the new platform. The Android Market, when launched in March 2009, had a mere 2300 apps, with a negligible download rate. As of November 2011, it has about 400,000 apps, with a whopping 7 billion downloads. 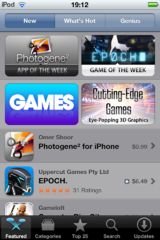 As compared to the iOS App Store, which was launched in July 2008, with 500 apps. As of October 2011, it stands with 500,000 apps. This shows, that although the Android Market has not surpassed the App Store, but the growth certainly has been greater. And the Android Market isn’t only limited to Apps, it lets you rent Movies, buy Books, and even expand the features of your phone. So save yourself some money, and a wasted train of thought, and go buy an Android. ← Flash is finally dying!